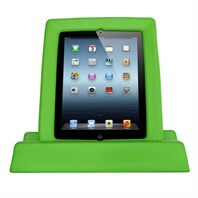 Protective case for the iPad 2, 3 or 4 – lightweight, durable, easy to clean, easy to grab, comfortable to hold! Matching stand available. 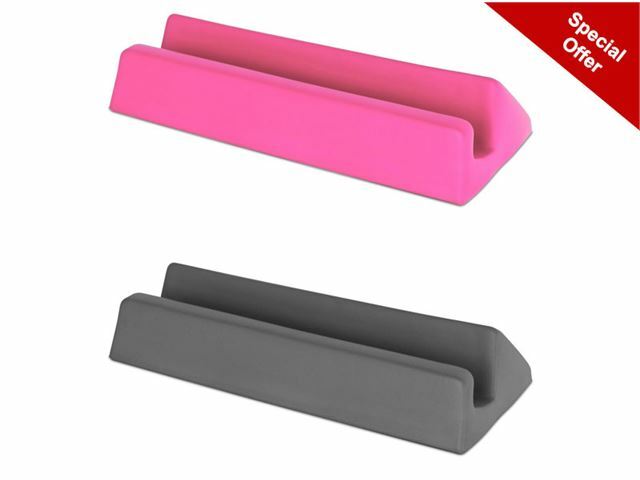 50% off Pink and Grey Stands while stocks last! (This special offer cannot be used in conjunction with any other discount or special offer). 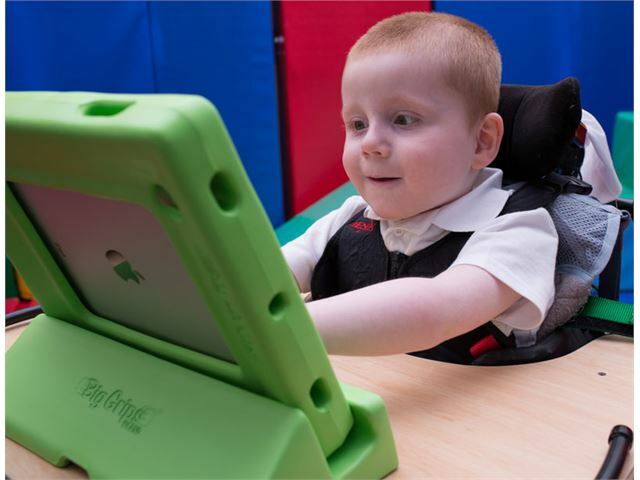 Please note: Big Grips Frames & Stands are not specifically designed for those with special needs therefore are not VAT exempt - you must add VAT to prices above. Buy 15 Big Grips Frames & Stands together with a trolley & save 5% – phone us to place your order! Buy the frame and stand together and save - click here to view! Available in six great colours! 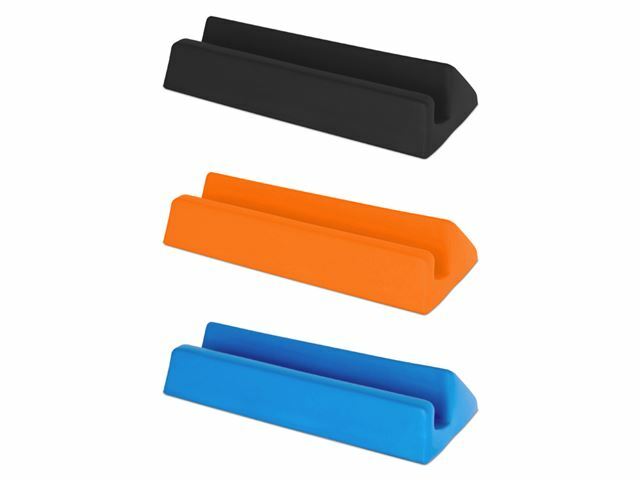 Choose from orange (stand only), blue (stand only), green, grey (stand only), pink (stand only), black (stand only). 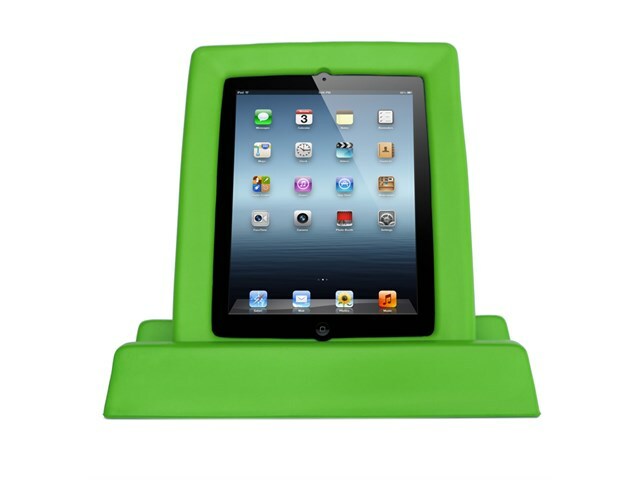 Excellent protection for your iPad 2, 3 or 4. Size: 9.47” x 11.57” x 1.5” (240mm x 294mm x 38mm). Please note: although we cannot guarantee the safety of your iPad 2, 3 or 4, we do provide a one year warranty on Big Grips Frames and Stands. 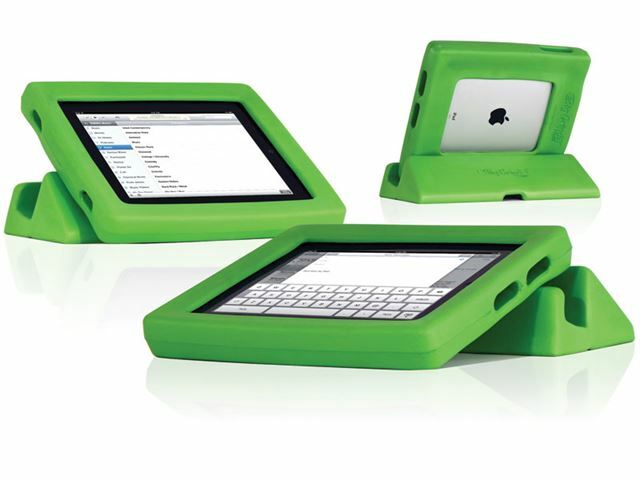 Please specify colour and if the case is for the iPad 2, 3 or 4 when ordering. iPad not included. We bought a Big Grips for our iPad when our two young grandsons discovered it and I'm sure it's the only reason the iPad has survived for the last two years. It's comfortable and safe for small hands and other than being dropped in water (which happened to our daughter's iPad) it will survive most accidents. My only gripe is it is a bit fiddly for adult hands to access the volume control and connect the charging cable. 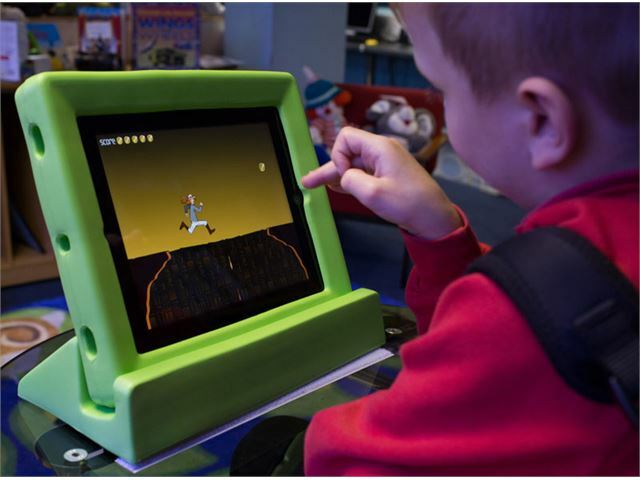 We also bought a Tweener for our grandson's mini iPad and the connections are much easier to access. I got this for my 14 month old daughter. It fits the iPad really well, is simple to use and after a few months of abuse, isn't showing any signs of wear and the iPad is in one piece. Cables pass through the hole easily for charging and syncing. It's one of those good value products that simply works great.